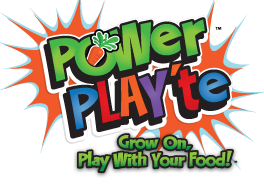 Power Play'te - Be sure to fill half your POWer PLAY'te with fruits and vegetables! Cherry tomato - Cherry tomatoes are small tomatoes that range in size from a dime to the size of a half dollar. A serving of cherry tomatoes gives you 15% of the daily recommended intake of Vitamin A. Red bell pepper - Red Bell Peppers are high in Vitamin A. Vitamin A is said to help with the health of your eyes. What kind of socks do you wear to plant red bell peppers? Green Apples - Green apples contain fiber, potassium, phosphorous and calcium. It's important to eat the skin of your apple. The skin is a good source of fiber! Did you know green apples have a higher content of Vitamin C than red apples? Romaine Lettuce - You're not going to believe this...just 100 grams of fresh romaine lettuce provides 247% of the daily recommended amount of Vitamin A. Wow! The lettuce was a "head" and the tomato was trying to "ketchup." Lemons - Lemons are an excellent source of Vitamin C. Eating foods rich in Vitamin C helps your body develop resistance against infections. What is square and green? Red Onions! - Onions are very rich in dietary fiber. They are also a great source of Vitamin C, and the minerals Manganese and Chromium. All of these help you to stay healthy and strong! What's the difference between wood and an onion? No one cries when you chop up wood. Spinach! - Spinach is a wonderful green leafy vegetable. Spinach contains 25% of the recommended daily intake of iron; one of the richest among green leafy vegetables. 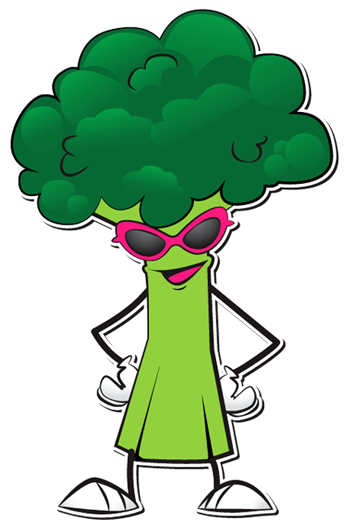 Which vegetable is always getting hurt?